What locations does Sidekicker operate in? 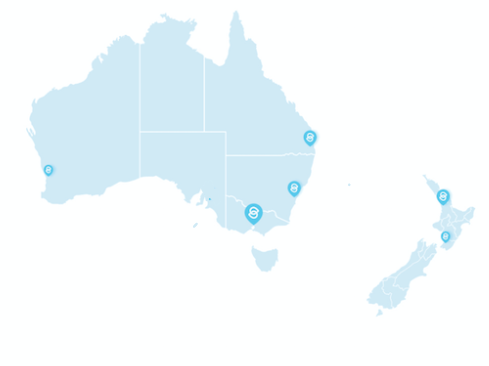 A quick look at the cities we operate in across Australia and New Zealand. Sidekicker currently operates in the metropolitan areas of Melbourne, Sydney, Brisbane and Perth in Australia and Auckland and Wellington in New Zealand. If you need staff in any of these cities we can definitely help you out! Though we generally don't provide staff outside these areas, if you are able to offer travel costs or transport to staff, or have a need for a large amount of staff, it's worth calling our customer support team on 1800 882 694 (AU) or 0800 004 013 (NZ) to discuss your options. We have plans to expand into many new cities in the coming months, so if we don’t currently service your city, please check back with us soon!